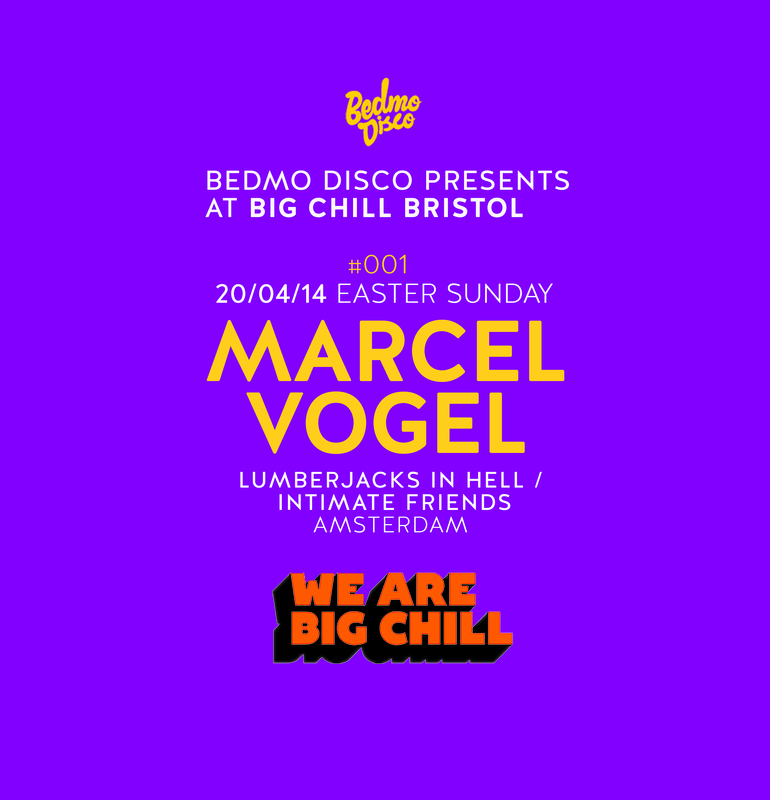 We’re sure you’ve not forgotten, but this Sunday – Easter Sunday, kids – sees the launch of our brand new residency at Big Chill Bristol, Bedmo Disco Presents… More excitingly, Sunday’s party also marks the first appearance in Bristol of Lumberjacks in Hell and Intimate Friends bossman MARCEL VOGEL, a man who should need little introduction to those with a passion for disco, boogie and soul-flecked electronic music. To get us all in the mood for the party, Marcel has kindly done a mix for the great people at STAMP THE WAX. He’s also spoken to them about re-edits, his labels, and his lack of rapping skills. You can check out the interview and mix here >> We’ve also stuck the Soundcloud link below.